Although there has been no official word from the Chennai based bike maker about the development, it seemsRE has launched an overhauled site. The new site is much cleaner, more stylish, better organized and more navigable. The whole layout is much more simplified with clearly marked sections which are positioned and designed intuitively. The new website focuses on visuals, with big pictures of the brand’s models and community activities taking the center stage. The menu bar and footer surrounding this pictures guide you through various sections such as motorcycles models, a community ride calender, a Bulletin Board, company history and credentials and contact info. You can also sign up for a newsletter, or book a test ride. Delving deeper into the site open up more sections, but all of them are neatly arranged. 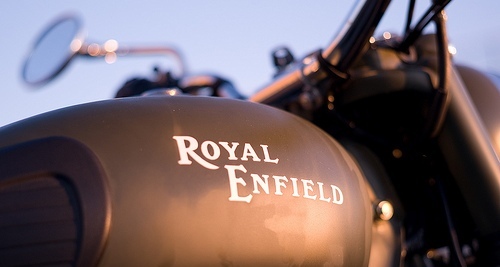 Have a look at royalenfield.com, and do let us know your opinion on the new site. RE riders have lot of " Do it yourself spirit " in them. Does it makes sense to add spare part pricing? Now that everything is on ERP, should not be difficult. Some how my gut feeling says, it will rock! I appreciate the Effort Royal Enfield is making here !